Fill out the form below, and we’ll send you more information about the Health Services Administration, BS program. Become a leader in the growing field of healthcare. Innovative, exciting and life-altering, the field of healthcare offers some of the most cutting-edge career opportunities today. When you step into this arena you’re positioning yourself to become a leader who impacts lives and improves health. 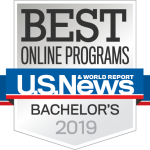 A bachelor of science in healthcare administration will prepare you to tackle some of the most important challenges in the evolving healthcare industry. With a focus on the managerial concerns of the field, you’ll be equipped to help healthcare facilities run smoothly — whether you spearhead your career in a hospital, long-term care facility or ambulatory care center. 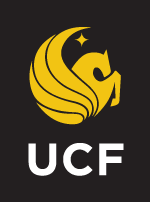 UCF Online’s curriculum empowers you to make critical decisions that allow medical workers to save more lives. When you graduate with your health services administration degree, you’ll be poised to step into a fulfilling and long-lasting career. In addition, you’ll be prepared to seek an advanced degree in health services administration or a related discipline. You do not need any previous healthcare experience to pursue this degree. Get started today and secure your role in this thriving arena.